I had a very busy Memorial Day weekend. I worked that Sunday for the little race we have here in Indianapolis. 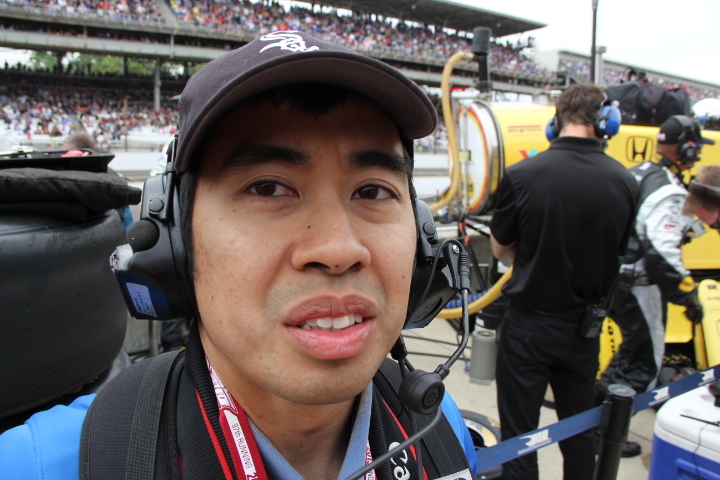 I started the day off at the station and then went to IMS to finish off our Indy 500 coverage. 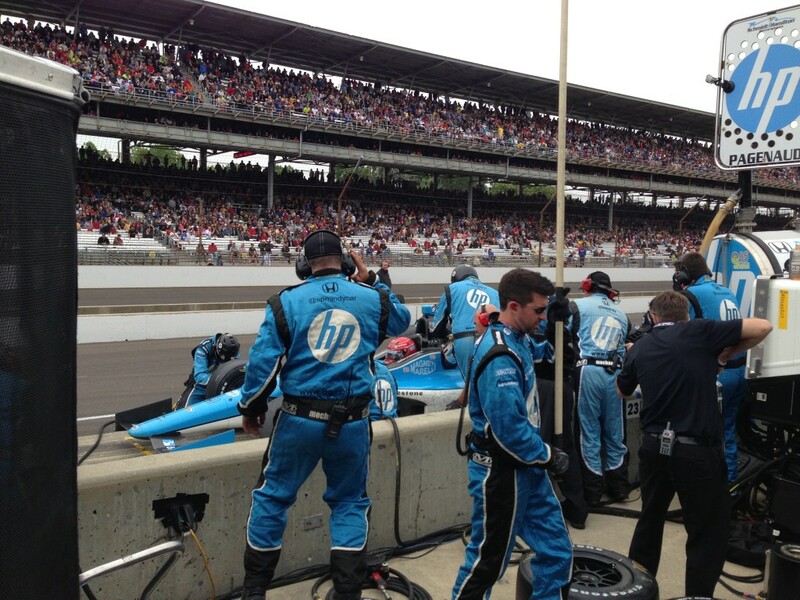 It was very cool being in the pits for the race. 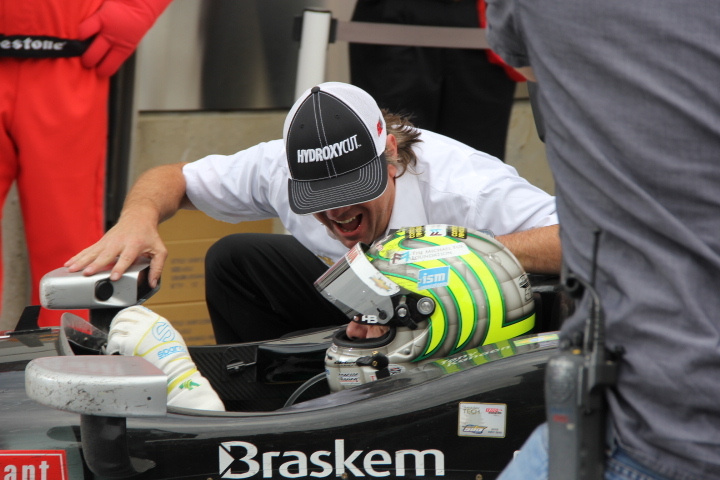 And got a great shot of winner Tony Kanaan being greeted by his team owner after the race. 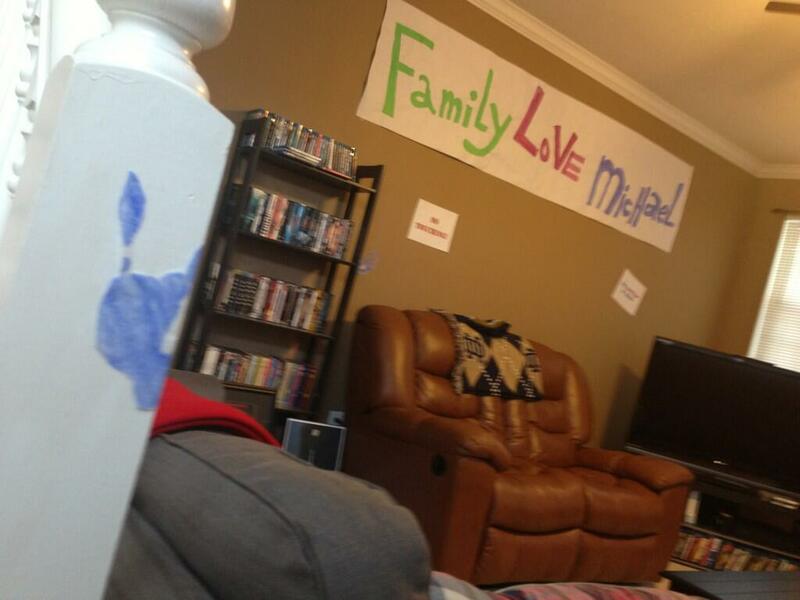 Monday, John, neighbor Erin, and I hosted an Arrested Development party for the newly released season. We all watched the show when it was on the air years ago and became super fans of the show. Erin came over while we were at the race on Sunday and decorated with a lot of trademark Arrested Development references. We spent all day Monday watching all 15 new episodes, snacking on frozen bananas and ice cream sandwiches. I wrote a quick review of the new Arrested Development episodes here. 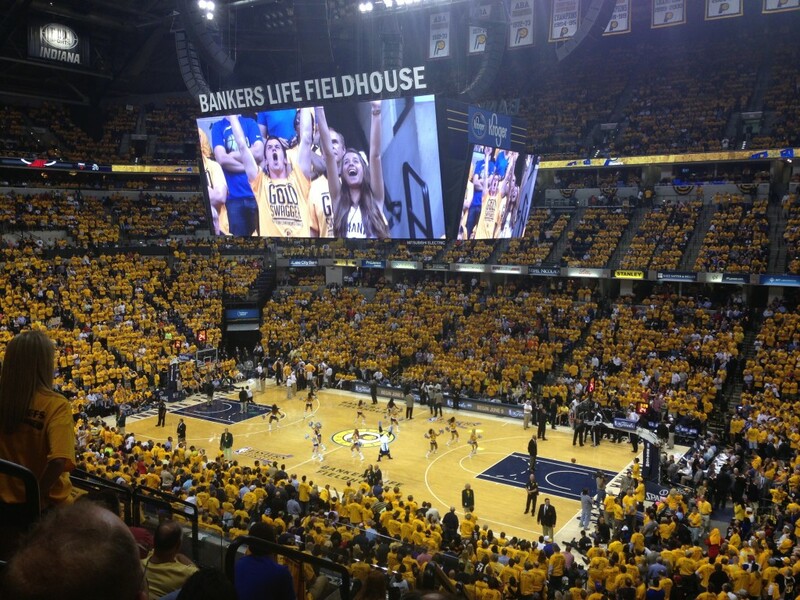 Finally, on Tuesday John and I went to see the Pacers beat the Heat in game 4 of the Eastern Conference Finals. 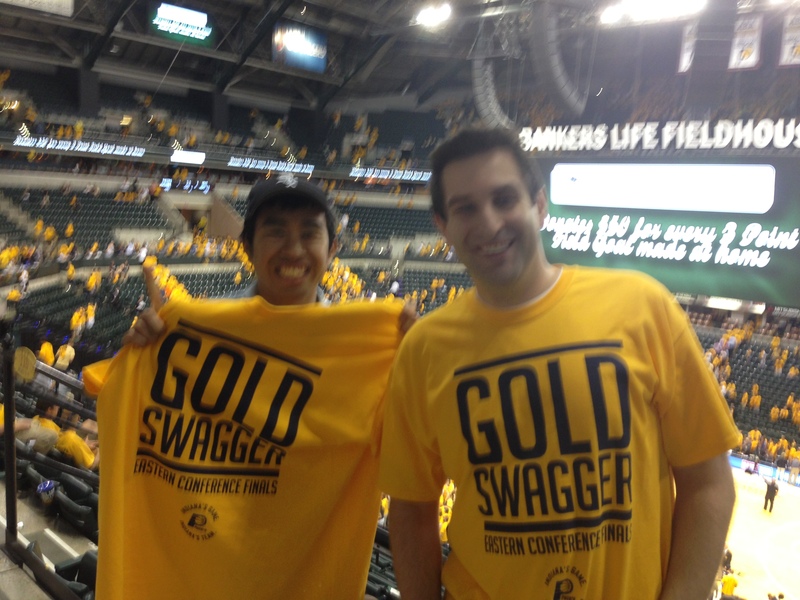 For an added bonus, everyone got yellow shirts. It was an epic three days.